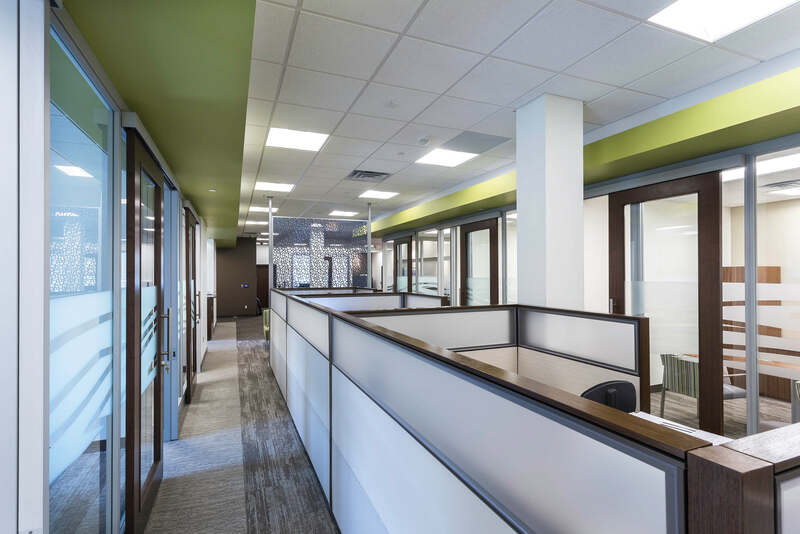 We provided architecture services for the building addition, as well as interior architecture and design services, including furniture selections, for the remodel of the St. Paul location. 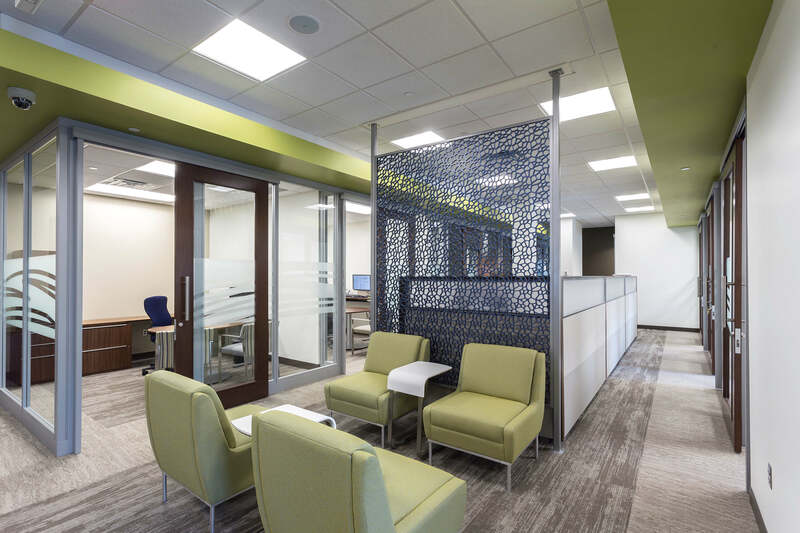 We reduced the overall size of the bank by incorporating new trends in banking such as interactive sit-to-stand universal banking stations. 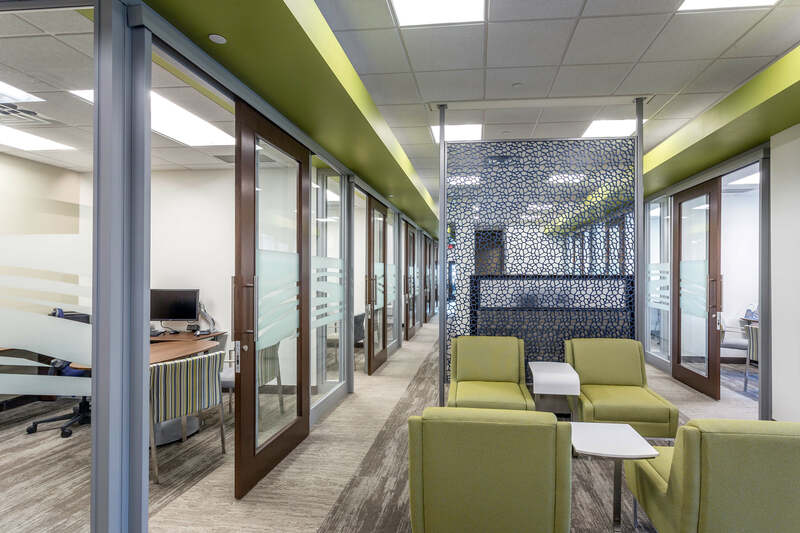 The Highland Bank interior concept utilizes a neutral color palette with pops of bright green and blue which emphasized the brand creating a fresh, contemporary aesthetic. We re-worked the drive thru for increased efficiency and left the client with open tenant space for future leasing opportunities.